Avnu Alliance joins OPC Foundation and Industrial Internet Consortium in a joint press conference to deliver TSN progress and announcements on Tuesday, November 28 at 16:45 in the Istanbul room, Nürnberg Convention Center Ost, Level 2. Avnu Alliance provides certiﬁcation for conformance and interoperability of TSN and related standards, giving vendors a more streamlined vehicle for participation in this ecosystem and unlocking a faster path to new business opportunities to meet customer needs. Avnu Alliance members and IIC TSN Testbed participants discuss work being done to progress TSN Interoperability and Avnu Conformance Testing for Industrial devices. TSN is a core component of deterministic communication being driven by investments across a wide range of markets. Download the Avnu Flyer to learn more about Avnu membership and TSN. Avnu Alliance deﬁnes interoperability tailored to each market, giving members and other protocol organizations a common foundation on which to build their deterministic network solutions. Customers will expect and require certiﬁed TSN systems. Avnu is synonymous with TSN certiﬁcation. Don’t wait, join Avnu now. Learn about how to join on our member page. Have questions? Or want to get live updates of our news from the press conference? 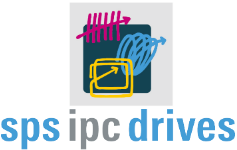 Head over to our social channels to get real-time updates from SPS IPC Drives.